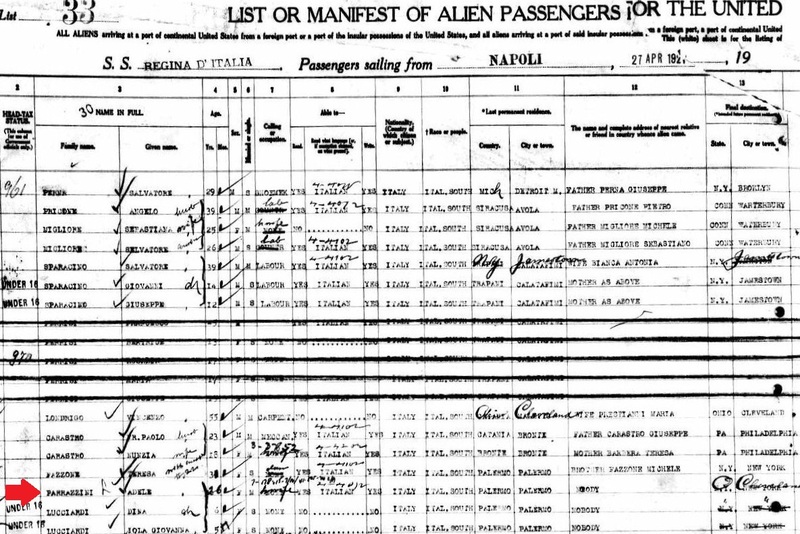 My grandmother, Dina C. Licciardi Bellan, sailed from Naples on 27 Apr 1921 with her mother and sister and arrived at Ellis Island on 12 May 1921. She was 6 1/2 years old. Her name is on the American Immigrant Wall of Honor at the Ellis Island Museum. Before she passed away, she had the opportunity to travel to NYC and see the wall (and her name) in person. Here is a photo of her next to the wall and below that is a rubbing she made of her name. Today, April 10th, is National Siblings Day. I grew up with four younger siblings, so there was never a dull moment in our house. I used today as an excuse to scan and post a few photos of me and my siblings. All of us from 2007. I was pregnant with my son at the time. June 1980 with my newborn baby brother. I was 18 months old. Me and my brother, March 1981. Rockin' the hoodies. Two of my younger brothers checking out my new Lego set, November 1989. My brother and I with our new baby sister, late November 1990. Me and my sister, 1995. We are on our grandmother's front lawn. Today, January 21, is National Hugging Day. I think I have posted this photo on my personal Facebook page in the past, but it has never made it to the blog. It is me, my brother, and three of our cousins hugging, probably around 1984ish. Give out some good hugs today! My Dad (on the far left) with his brother and sisters, Christmas 1958. Here is a photo of me and my brother (Minnie and Mickey Mouse) and two of our cousins from Halloween 1985. We are standing in our grandfather's TV room. With my other immigrant ancestors, finding these forms has been the final step in learning about their citizenship process. However, thanks to GenealogyBank, I found out a little bit more about Dominik's citizenship experience. On July 4, 1932, Dominik's name appeared in The Cleveland Plain Dealer as one of 1,500 immigrants who were to receive citizenship diplomas at Cleveland's Edgewater Park. I like to think that Dominik DID attend the ceremony, but there is no way to know for sure. Maybe his wife and children even came with him to watch. In any case, after a lot of searching, I'm pretty sure it was the only time he ever made it into the 'big city' newspaper, and it's just another great reminder that MY citizenship as an American really began the moment he received his citizenship in 1932. A collection of photos celebrating all of the fathers, grandfathers, and great-grandfathers in our families! Enjoy! My dad with me, 1979. My husband with his dad, mid-1990s. My husband with his dad on our wedding day, 2004. My father-in-law playing doctor with my son. My father-in-law with my daughter. Me with my maternal grandpa, 1979. My son with his great-grandfather, my husband's paternal grandfather. My husband with our son, 2008. My husband with our daughter, 2011.